Moonandback.com recently conducted a two-part interview with SSI President Gary Hudson on the Great Enterprise Initiative. Gary talks about plans for G-Lab, an orbiting variable gravity facility that would conduct crucial research essential to humanity’s expansion into space. SSI now has a great opportunity to make additional important contributions to the technologies needed for space settlement. Our Great Enterprise Initiative will be expensive and require years to accomplish. This work is necessary for us to plan the breakout into space. And your support now is more important than ever. In the past, SSI has made incredibly good use of the funds donated by its Senior Associates, donors and members. Recall that SSI funded Spacewatch, which discovered the large population of near Earth asteroids that Planetary Resources now proposes to mine for useful materials. SSI designed Lunar Prospector that found water at the lunar poles. SSI has made significant advances in the science of closed environment life-support systems. SSI performed the first separation of lunar materials and developed processes to get engineering materials from the Moon. SSI’s Great Enterprise Initiative consists of two ground-breaking programs. G-Lab is an orbital free-flyer laboratory where scientists will be able to investigate the long-term effects of partial gravity on humans and other vertebrates. 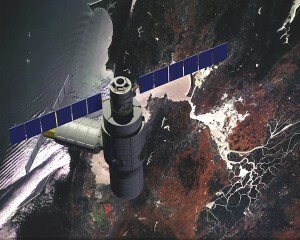 G-Lab will co-orbit with the International Space Station, trailing about 10 km aft of the orbiting laboratory. E-Lab will be a ground-based facility dedicated to developing a full-scale, closed-loop environmental control system for use on long-term space habitats. Raising sufficient capital is essential to move the G-Lab and E-Lab projects forward so that we have the means to support human life in space and so we know where we may feasibly settle. As a non-profit organization, we rely upon your financial support. Help us continue our vital work. Click here to donate. SSI President Gary Hudson’s appearance on The Space Show has now been archived for listening online. Gary talked with host David Livingston about SSI’s G-Lab program, which aims to put a variable gravity facility in low Earth orbit where research vital to the settlement of space would be conducted. Today, the Space Studies Institute is announcing a new Great Enterprise Initiative and two special Projects that we hope will hasten the day when permanent space settlement arrives, fulfilling Professor Gerard K. O’Neill’s vision of forty years ago. The Great Enterprise Initiative is a road map outlining the technologies and capabilities necessary for settlement. It incorporates five major themes, from Transportation, Resources, Environmental technology to areas of Society and Economy. Progress in all these areas is required for us to accomplish our goal. We will be holding conferences and summer studies workshops during the next few years to flesh out road map details and to begin to address specific challenges. We are announcing two major Projects. The first is G-Lab, a space-based variable or partial gravity laboratory, described below in more detail. The second is E-Lab, a terrestrial “systems-of-systems” integration lab that will bring together promising closed environment life support technologies into a comprehensive life support solution for space settlement. We will describe the E-Lab effort in the near future. We plan to be meeting with potential donors and sponsors of both of these Projects in the near future. My presentation given today at the Space Access 2012 Conference in Phoenix Arizona is available at ssi.org/The-Great-Enterprise-SA2012.pdf. We welcome your support of these endeavors. 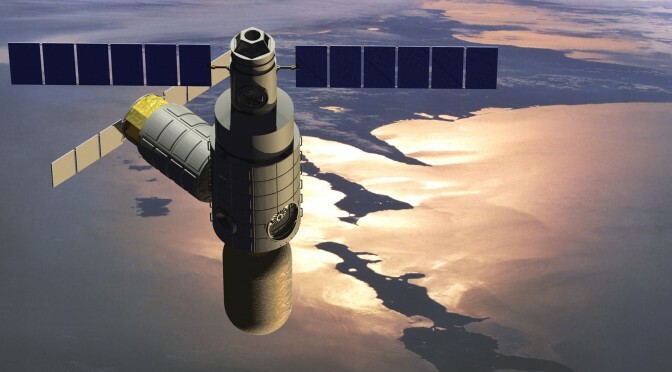 In order to investigate the long-term effects of partial gravity on humans and other vertebrates, the Space Studies Institute proposes the private development of a co-orbital free-flyer laboratory, in trail ~10 km aft of and station-keeping with the International Space Station (ISS). After a half century of research and development, and perhaps as much as a trillion dollars of worldwide expenditure on national space programs, it is shocking to realize we simply have no evidence that humans can thrive, or even survive, on worlds beyond Earth. In spite of these findings and policy, for the foreseeable future NASA interest remains fixed on brief “flags and footprints” style missions beyond low Earth orbit. This is fundamentally a redux of Apollo, and is likely to result in the same boom-bust outcome of four decades ago. Any attempt to answer the question will require long-term human presence in partial gravity, but such a step is likely beyond the financial reach of SSI and even very rich donors until the price of space transportation falls by an order of magnitude. In the interim, a feasible and useful approach will be to study smaller vertebrates (rats or mice) at partial gravity. This approach was the one recommended by the NRC Decadal Survey and a centrifuge was fabricated and scheduled for installation on the ISS. Budget pressures and the high potential for interference with other ISS experiments led to cancellation in 2005. While considerably less costly that a full-sized rotating station, this is still an expensive undertaking. In 2011, SSI recognized that this NASA design effort might be repurposed into a private free-flyer facility at affordable cost. We have initiated the process of obtaining a Space Act Agreement with NASA Ames Reach Center in order to leverage this prior effort. 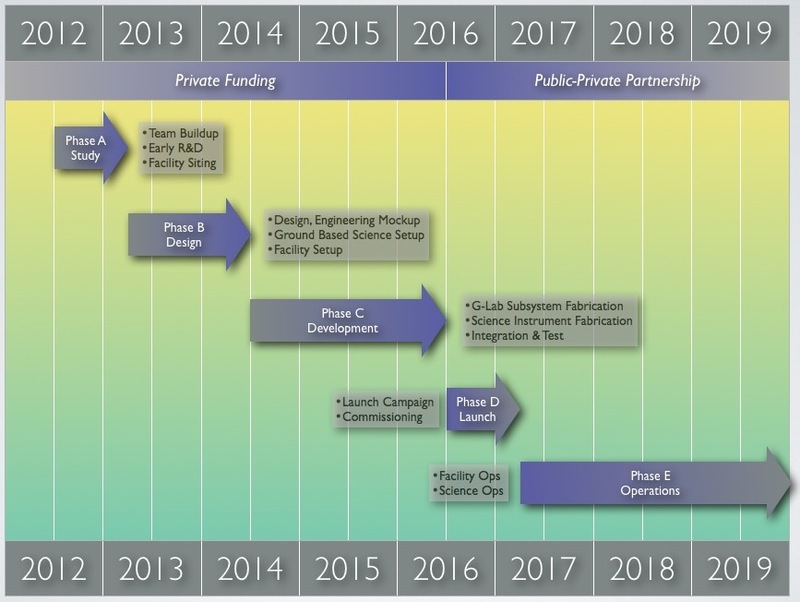 Our plan calls for a three phase program to plan, design and develop the facility that we have designated the “G-Lab.” The conclusion of these three phases would result in a flight-ready spacecraft that could be launched on one or more medium or heavy-lift launch vehicles in late 2016 or early 2017 provided funding is not an issue. Close proximity to the ISS allows SSI to share access (crew and cargo “rides”) to the ISS, greatly reducing operating expenses. It also allows intermittent visitations of crews from one platform to the other. New visiting vehicles such as Dragon and Cygnus will be available to allow inter-station exchange. Once the spacecraft is ready for launch (and practically, beginning some years before) SSI will seek to broaden the funding participation from purely private to a public-private partnership. Our long experience in the aerospace and government funding world suggests to us that having a hangared spacecraft ready for flight will be an powerful inducement to several national space agencies and other funding sources to participate in the project. Participation can take the form of in-kind contributions, for example free or heavily discounted launches, crew visits, or re-supply missions. This philosophy was adopted by participants in the current ISS program with great effectiveness. Our approach leverages early private funding to encourage future public funding sources; we think of this as a “multiplier effect” similar to the way prizes for technical accomplishment induce expenditures larger than the prize value itself. In the case of G-Lab we see the availability of the facility as the “prize” worth the further expenditure of public dollars for launch and operations. Of course, some risk is inherent in this approach. To reach the end of Phase C, a substantial private donor commitment will be needed. To increase donor confidence in our ability to deliver a flight-ready spacecraft, we propose to divide the initial “private” phases into three milestones of increasing value. During Phase One, a relatively modest seed funding will be at risk, and in cooperation with Phase Two and Three donors SSI would face a “go/no-go” decision point. If the decision is “go” and funding for Phase Two and Three is secured, the project proceeds. If not, the effort may be terminated with minimal downside. Internal to the Phase Two and Three efforts, additional milestones would be crafted in cooperation with funding sources. See the table below plus the schedule at the end for future details. Our hope is to raise the Phase One funding within the next three to six months. The core SSI vision is to enable permanent independent space settlements beyond Earth, established by individuals and private organizations. Unlike advocacy organizations, SSI’s focus has always been on physical demonstrations that yield measurable steps towards establishing self-sufficient space settlements. SSI is in the process of recruiting a top notch scientific and technical team for the G-Lab Project. We are working closely with NASA Ames, which is the lead NASA center for space biology, to identify key scientific personnel and have begun interviewing possible team leaders. Meanwhile, we have begun to assemble an initial volunteer management team to see the project though Phase One. Greg Bear, author of more than 30 books, spanning thrillers, science fiction, and fantasy, including BLOOD MUSIC, EON, THE FORGE OF GOD, DARWIN’S RADIO, CITY AT THE END OF TIME, and HULL ZERO THREE. Jonathan Goff, President/CEO, Altius Space Machines, Inc.
Patrick Stiennon and David Hoerr, co-authors of THE ROCKET COMPANY. 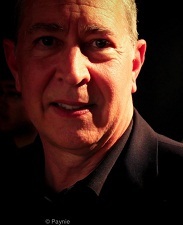 Rand Simberg, Adjunct Scholar, Competitive Enterprise Institute, consultant and author.